From beautifully dynamic leaves, flowers, and trees to simple geometric shapes and patterns, Modern Watercolor provides a contemporary, colourful, and fun approach to working in this timeless medium. It’s time to get your feet wet with watercolours! 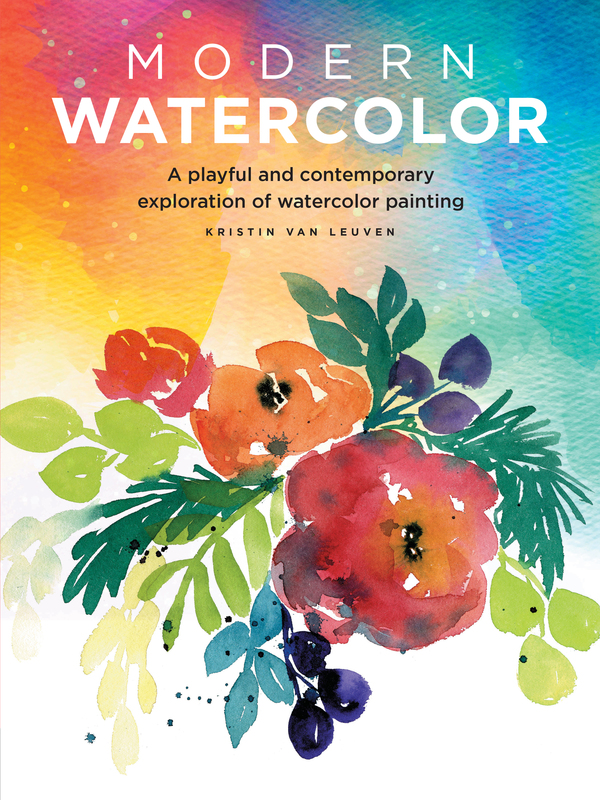 This dynamic and inspirational guide will set you down a path of exploration as you learn to play with watercolours. You will learn to effectively use basic techniques and principles to create beautiful, expressive works of art. In Modern Watercolor, artists will discover how to paint in watercolour by harnessing the medium's unique transparent qualities to create stunning works of art, stationery, gifts, and more. From selecting your first watercolour paints to learning to blend colours into a unique palette, we are here to guide you as you begin your journey. By the end, your paintings will be cohesive and rich. These easy-to-follow lessons will explore using watercolour on different surfaces, how to create basic shapes using fun techniques, and how to create myriad gorgeous effects that can be achieved with different brushes and strokes. You will even learn how to add layers of dimension and texture and how to work with resist techniques to create pretty patterns and gorgeous backgrounds. Kristin Van Leuven is a native Arizonian who loves to paint, a mother, and a wife. She's also the owner of Hello Lovely People, an online shop that sells artwork.